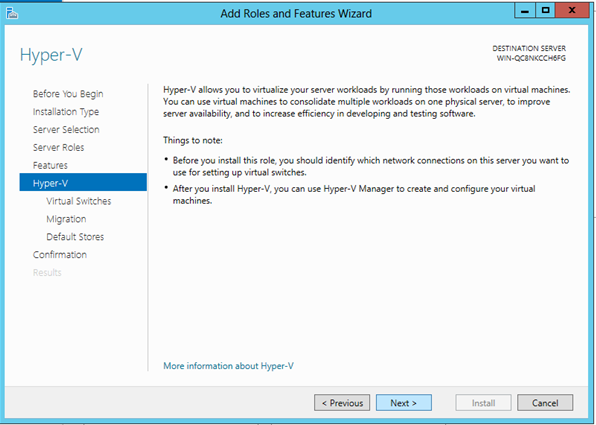 In this Tutorial you will learn how to add or install Hyper-V roles and features in Windows Server 2012 platform. 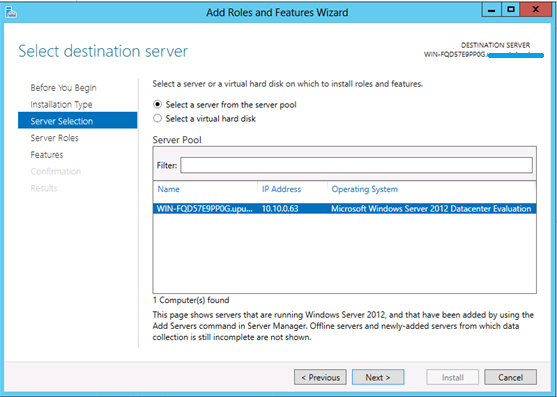 In the Welcome to Server Manager page, select Add roles and features. 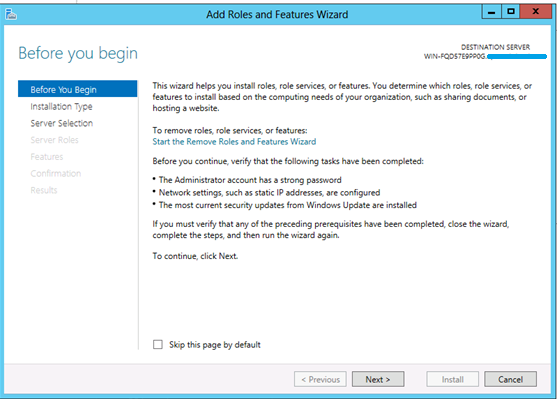 In Before you Begin page, click on Next to proceed. 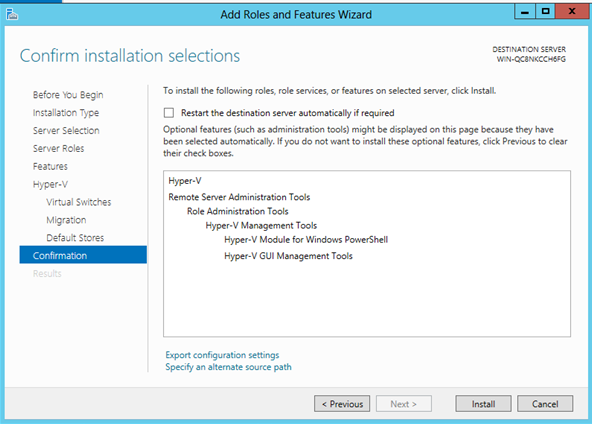 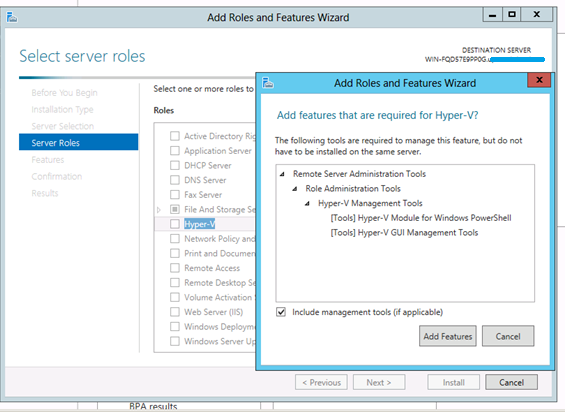 In the Select server roles page, choose Hyper-V then add the features that are required for Hyper-V. 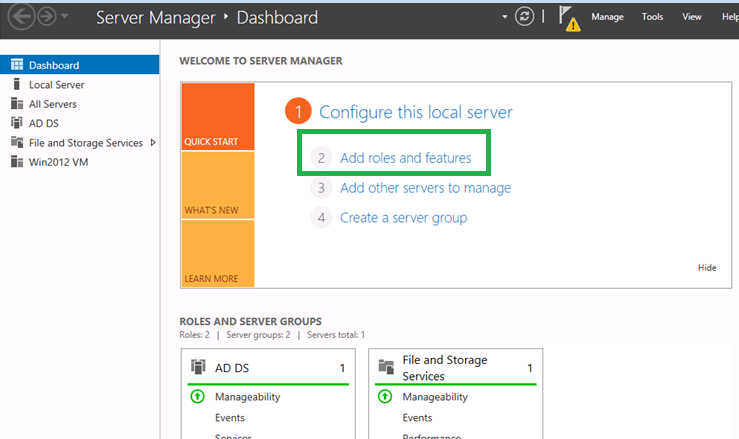 In the Server Roles page, click on Next to continue. 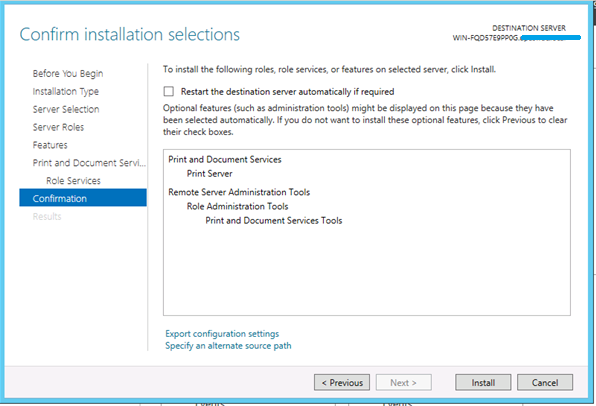 In the Select features page, you may choose to install or opt the features to install on the selected server then click on Next to continue. 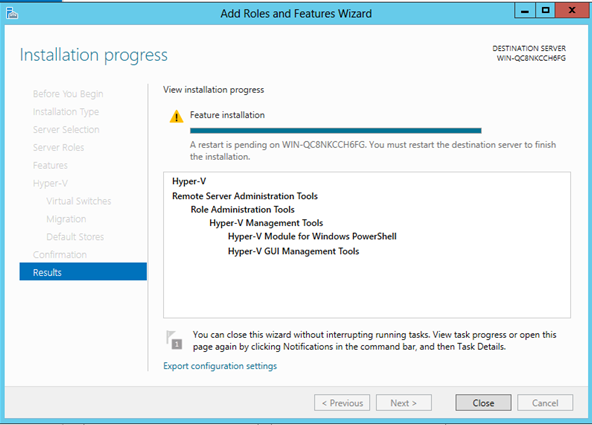 In the Hyper-V page, click on Next to continue. 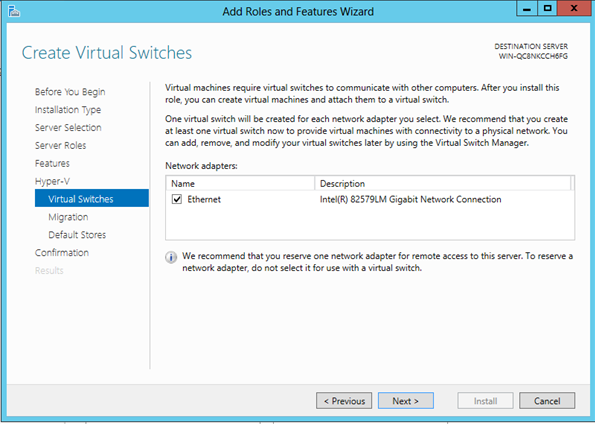 In the Create Virtual Switches page, click on Next to continue. 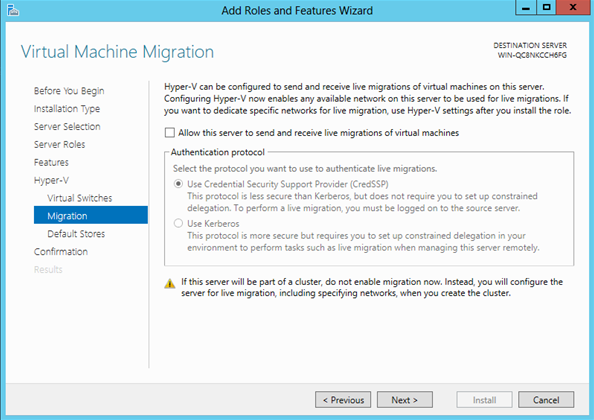 In the Virtual Machine Migration page, click on Next to continue. 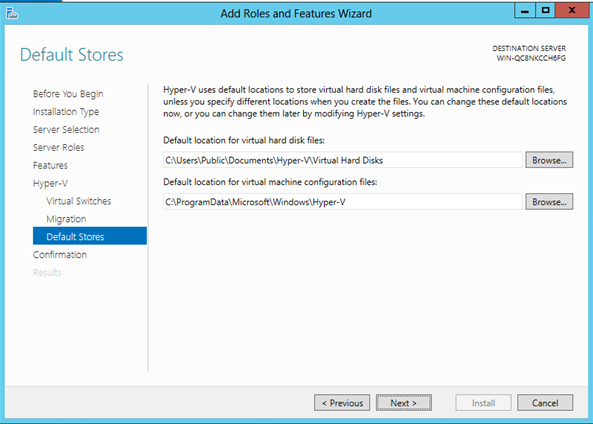 In the Default Stores page, select a default location for virtual hard disks click on Next to continue. 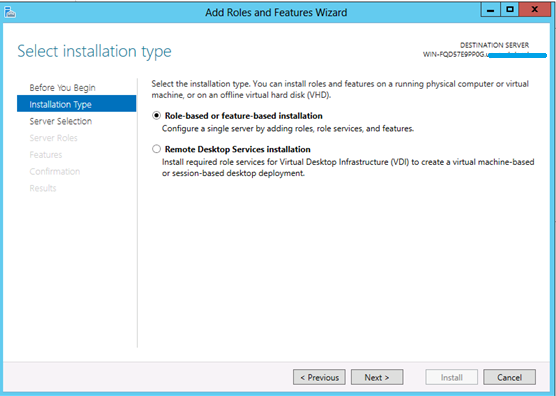 From the Confirm installation selections page, click on Install. 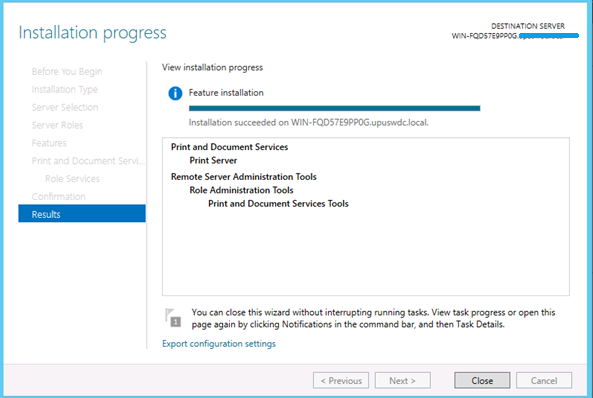 From the Installation progress page, click on Close. 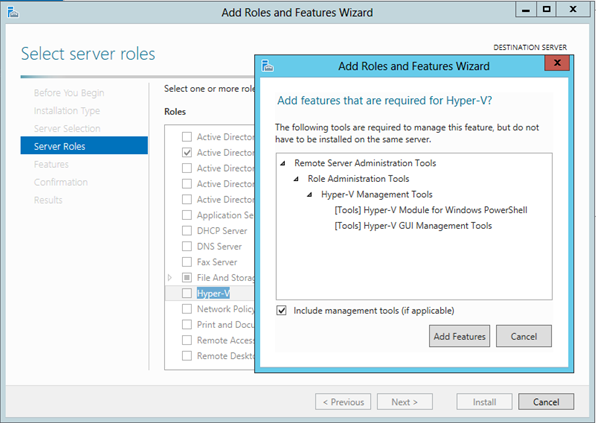 This concludes adding Hyper-V Roles and Features. 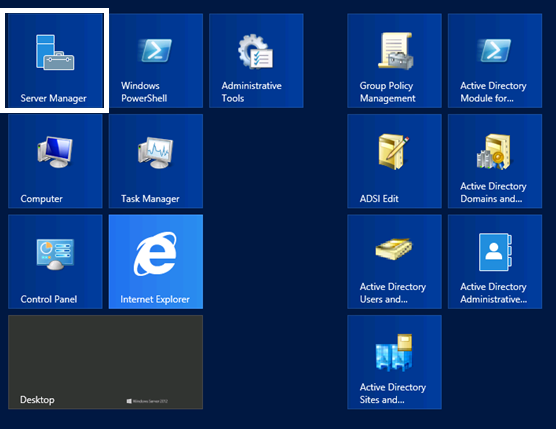 Access the Server Manager App from the Metro UI. 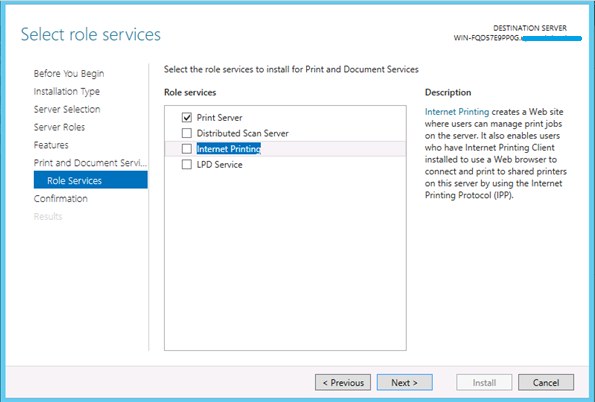 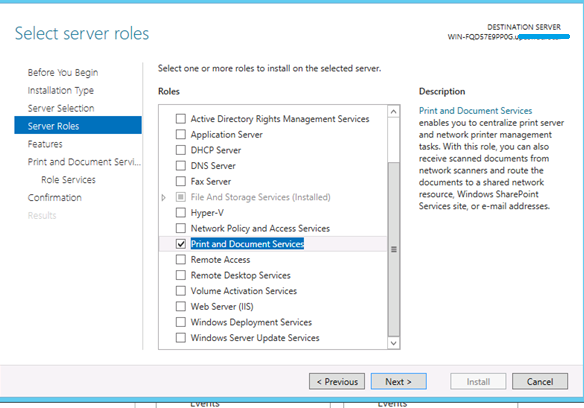 In this Tutorial we will be installing Print and Documents Services roles and features, you may use this guide to add any roles and features that you wish to add in Windows Server 2012. 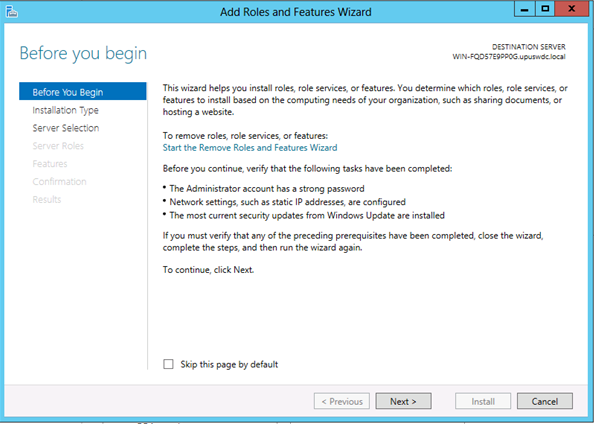 In the Installation progress page, you may view the results and this concludes adding the Roles and Features. 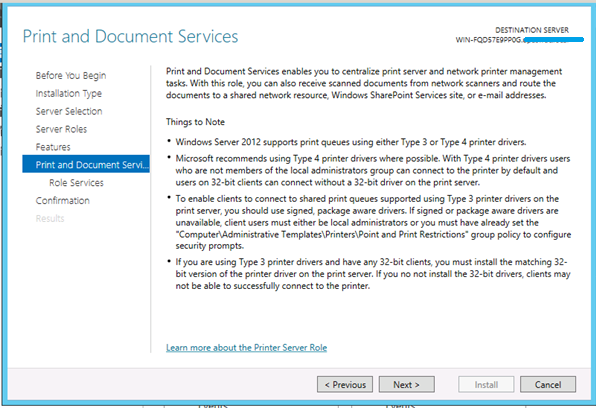 Note: If there are any errors during this process, make sure to view the Event Viewer logs for any errors and hints for the resolutions of the issue(s). 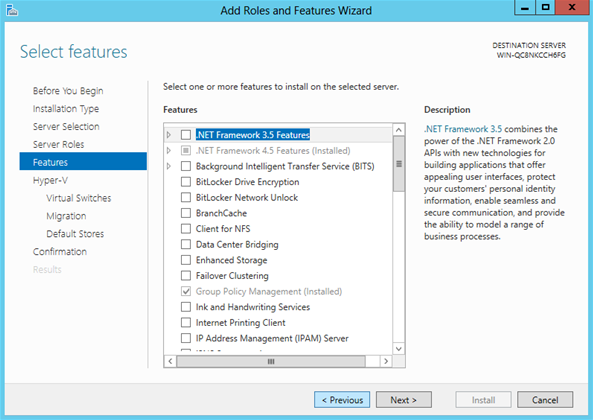 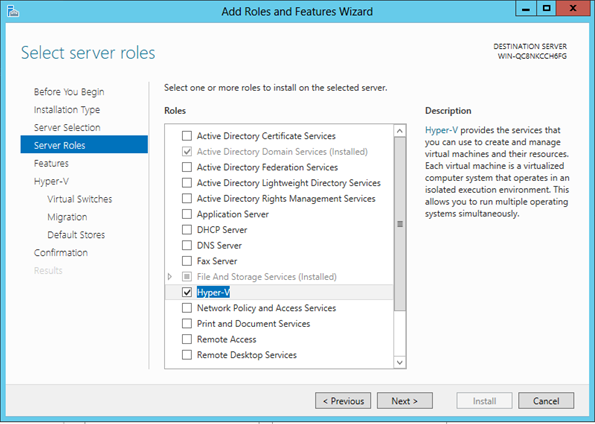 Please check out my other Tutorial on Remove Roles and Features in Windows Server 2012.